Organic beauty brands are making inroads in India. Brands like Organic Harvest, Divine Organics, and Just Herbs are tapping into consumer demand for ethical products. According to RedSeer, the Indian organic skincare products market is valued at $125 million, growing at 25 percent percent annum. “While the herbal category as a whole is expected to grow at 8-10 percent, the mid-premium segment is expected to grow at a higher rate of 14-16 percent,” says Vithika Mishra at RedSeer Consulting. Besides consumers, there is demand from the spa and tourism sector. “The personal care space has mostly been defined by three terms — ayurveda, wellness and organic. From a marketing standpoint, ayurveda is more of a mass play. On the other hand, organic has emerged as an alternative to ayurveda with a more premium positioning,” says Ankur Bisen at Technopak. However, in the absence of labelling laws, it is difficult to ascertain if products are purely organic. It then becomes more of a positioning platform to market natural skincare products. Nykaa has seen a 50% increase in demand for natural beauty products across metros, tier I and II cities in the last one year. “We recently launched ‘nature inspired’ products such as soaps and essential oils, which have cold-pressed ingredients,” says Reena Chhabra, CEO, FSN Brands, Nykaa.com. Scaling in this category can be seen with companies like Forest Essentials and Shahnaz Husain. “Starting in 2002, when natural and organic were not even a thing in India, Forest Essentials has managed to expand to 50 outlets in 15 cities apart from tying up with 220 hotels including Taj and Four Seasons to provide toiletries,” notes Mishra. Clearly, the beauty space is turning green. Arush Chopra, CEO, Just Herbs, says there is mistrust among consumers when it comes to big brands in the skincare space (due to their preservative-laden products). The brand which has three stand-alone stores in Hyderabad, Chandigarh and Ludhiana also sells online. It positions itself along with the likes of Kama and Forest Essentials but is more competitively priced. 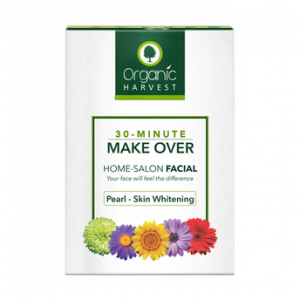 Another digital-first brand, Organic Harvest positions itself among the likes of Olay and Neutrogena. Its founder Rahul Agarwal says that the biggest challenge is to educate consumers about organic. “We prefer one-on-one communication with consumers at our stores,” he says. The brand sells through 500 stores, and online portals. Divine Organics, launched in January this year, has a mid-premium positioning. It expects consumers to switch over from existing FMCG brands towards organic brands in the near future. “Most brands just carry the organic nomenclature. There is a need for certified brands to build consumer confidence in the category,” says Gautam Dhar, CEO, Divine Organics. With growing competition, perhaps brands need to go beyond organic only, and play on the wellness theme. “Not all consumers relate to organic but they are more aware about wellness,” opines Bisen. Consumer demand for organic beauty products is taking off across Asia. Initially, Western brands like Jurlique and Aveda were capitalising on this demand, however new Asian brands are emerging. Established Asian companies like Amore Pacific have introduced certified products, however most inroads have been made by newcomers.